The Egyptian national carrier’s home base Cairo will play the major role as transit point for shipments carried by their subsidiary Egyptair Cargo (ICAO code: MSX) either on board their freighters or in the holds of their sister company Egyptair Airlines passenger fleet. It was preliminary origin and destination services offered to their customers. 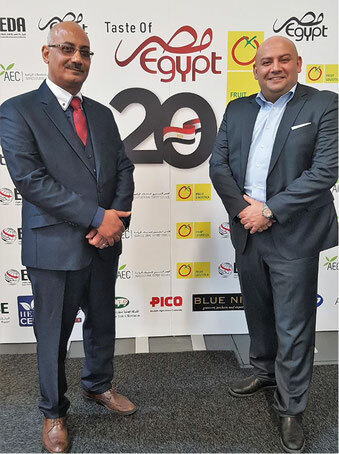 This will change in the near future, Egyptair Cargo’s Germany Cargo Manager Khaled Youssef exclusively tells CargoForwarder Global at the Berlin-held trade fair Fruit Logistica. And he had more to say. “Our management decided to build Cairo into a future-oriented transportation hub, predominantly for perishables but also other commodities,” announced Mr. Youssef. This target, to be implemented gradually, is mainly driven by their expansive fleet plans standing on their agenda to being realized within a framework of four to five years. Once accomplished, MSX will operate a mix of A330P2F conversions and narrow body aircraft P2F (type of aircraft is under study), enabling timely and smooth onward transportation of shipments via CAI from intercontinental to regional routes and vice versa. “This way, we can link our European flights with services to the Middle East and many destinations in northern and central Africa,” the manager notes. Currently, MSX’s fleet consists of two passenger A330 aircraft converted into freighters, both formerly belonging to Egyptair Airlines’ fleet and converted to freighters by Dresden, Germany-based Elbe Flugzeugwerke. “The second A330F, which arrived in Cairo only on 2 February, is undergoing the required paint job and will start commercial ops in about two weeks, in additional to one A300-600F. A third A330P2F is joining our fleet next June,” states Mr. Youssef. By that time, their last A300-600F will be retired. He went on to say that studies are undergoing now to put another two A330P2Fs into service, growing the A330 freighter fleet to five units. Thanks to these long-haul aircraft, Egyptair Cargo not only ups their main deck capacity considerably with each of the aircraft capable of uplifting 59 tons per flight but expands their network from Cairo to various worldwide points including but not limited to Africa, the Middle East and Far East. The new destinations should be in action starting from the beginning of March 2019. Currently, various options are under consideration. 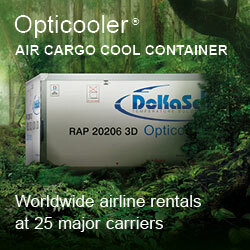 Already determined are direct freighter flights linking Cologne-Cairo-Johannesburg. They will be operated beginning March 2019 and offered twice weekly, the manager hints. Once operated, “we can offer the German and central European market an attractive transport option for goods destined to South Africa,” states MD Hassan Aglan of GSA Skyline Air Services. His company is responsible for selling the capacity of Egyptair flights in the German market and caring for the onward transportation of imports arriving there. 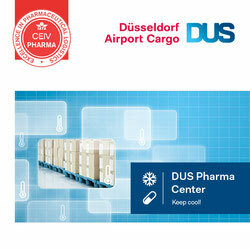 Cologne is the carrier’s main European hub, accounting for three to four freighter flights per week. “Our aim is to operate daily services,” says the Egyptair Cargo manager. In addition, MSX services Ostend, Milan, Istanbul and Sharjah on regular basis, complemented by charters. 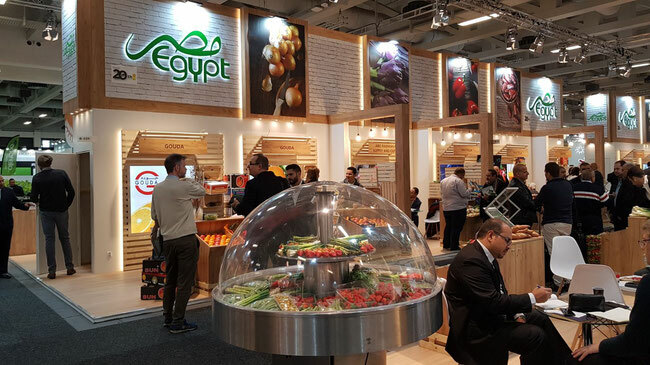 Most of their import volumes transported consist of perishables, which explains Khaled Youssef’s visit to the Fruit Logistica trade show last week. 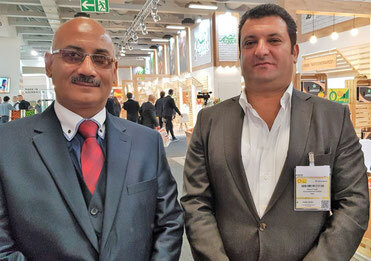 “No wonder,” comments Vice Chairman and co-owner Ahmed Fouad of Cairo-based forwarding agent Venus International Transport, “because Egypt is ranked 6th worldwide as producer of citrus, grapes, pome fruits and alike commodities.” Therefore, Berlin’s Fruit Logistica is the place to be once a year for growers and transporters of these sensitive commodities. 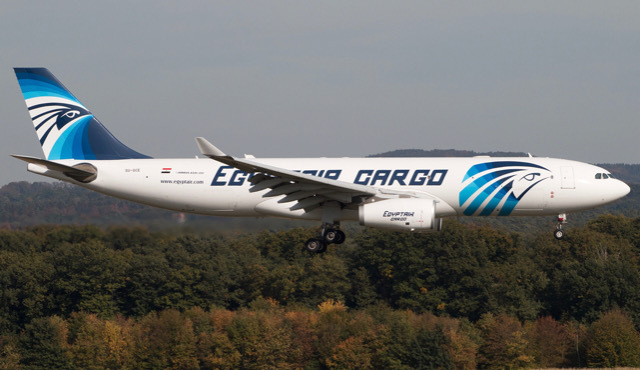 Egyptair Cargo will grow its A330 freighter fleet to five units. Venus International is Egypt’s number one forwarder of perishables exports. “The mass of our air freight consignments we fly on board Egyptair’s freighters to central European destinations, from where imports destined to the UK are transited by road feeder services to the British Isles coming either from Cologne or Ostend,” Mr Fouad explains. In total, Egypt exports roughly 120,000 tons of fruits and other perishables per year, with Venus processing the lion’s share of 40,000 to 45,000 tons, depending on crops. Besides Europe and the UK, other important buyer markets are the Gulf countries, South Africa, Far East, and Russia, he and local farmers from the Nile region attending the Berlin trade show equally confirm. They actually fly more CAI - OST services per week than CGN... So its strange CHN shall be their main hub. We just spoke with Egyptair Cargo's management again and they confirmed that they consider Cologne / Bonn (CGN) as their main European hub. This also applies to weeks where they have more flights to Ostend in comparison. They added to this that regardless of the number of ops, OST is a very important airport within their network to/from Europe.